Despicable Me 3: ’80s Obsessed Villain but where are our Minions??? “I Swear” (sung in minion-speak as Underwear) is the song played at the wedding of Gru and Lucy, performed by the Minions. The video is taken from the movie Despicable Me 2. 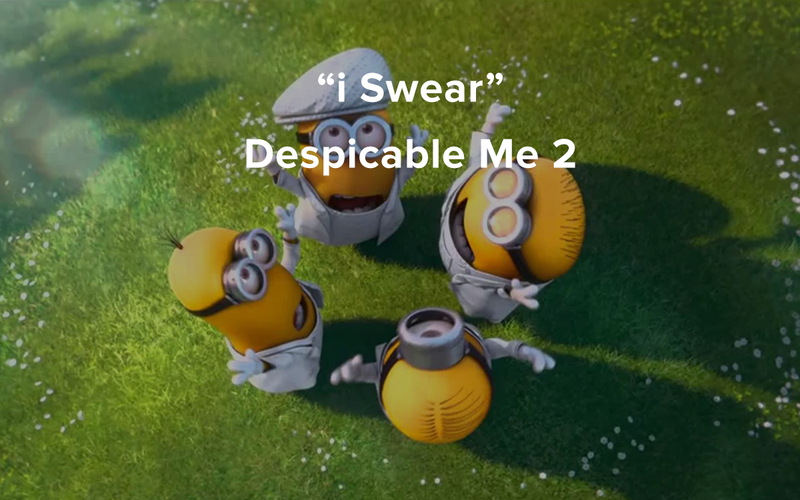 Lyrics of the song “i Swear” performed by the Minions. Ladu, la amo dee underwear. We never spam. We will never do.